Ever since Reliance Jio has made to the market this year, there has been no news that could surpass Jio in terms of popularity. Oh wait, there has. Prime Minister Narendra Modi’s #demonetization scheme. But they weren’t connected, were they? 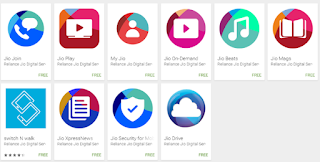 Reliance Jio crossed 50 million users in just a matter of 83 days. That is some applaud worthy achievement! I would heartily like to congratulate for this milestone being achieved. But being a Jio customer, I’m not really happy with the ways things have been with me since the beginning. Let’s walk down the memory lane. I got my SIM on 1st September. I did not just get it, I literally fought for it. I had to stand in the queue outside the mall for 2 hours. As soon as the gates were opened, I (along with 50 other men) ran a flight of 4 stairs to reach Reliance Digital. Once I was ensured that I would get the SIM, they said that they were out of stock and I would have to come back again the next day. The next day was 1st September, the day when Jio was officially announced. Since that very day, the way the SIM would be activated changed. Before that we had to wait for at least a week, but now the SIM will get activated within a couple of minutes. I did not have my Aadhaar card back then so I could not get it instantly activated. A month and a half just went by. I made many calls and mails, none were answered. You see, not a good experience. My mom finally managed to get a SIM. By the time I got the SIM, the unlimited data facility was over! Data per day was limited to 4 GB per user. Many bloggers and YouTubers came up with tricks to excess the 4 GB threshold, but Reliance managed to curb all these hacks. On the other hand, people started using more than 1 Jio SIM, cause there was no limit on the number of SIM that could be allotted per Aadhaar card. There is another rumor afloat which says that Jio Welcome Offer will be extended till March, 2017. I really don’t want this to happen. Do I not love free data? Of course I do. But this massive Jio user family comes at the price of the internet speed for us. On an average, every user has started experience a drop in the net speed. However, the speed is very impressive in any of the Jio apps. But people will low internal storages in their phones can’t enjoy them. 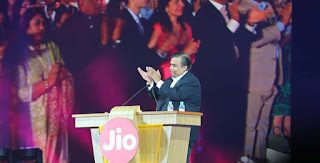 On 1st December at 1.30 PM the Chairman of Reliance Industries (Mukesh Ambani) will make some important announcement. The event was supposed to broadcast LIVE. I really hoped the Jio Welcome Offer would not be extended till March, 2017. There were some chances of the offer no lasting till that long cause TRAI had also warned Reliance Jio to end the Welcome offer by 4th December. What happened at the LIVE Event? The Jio Welcome offer has been officially extended to 31st March, with slight modification. From 1st January, 2017 every Jio user will come under the Jio Happy New Year offer. 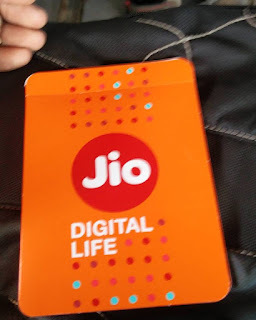 According to the stats produced by Reliance, 80% of Jio users use below 1 GB of data whereas the rest 20% of them uses abnormally high amount of data. They also admitted that there were congestion in the network cause of these 20% of the users. To put a check on that, Reliance has come up with the Jio Happy New Year offer. Calls and messages won't be affected in this offer. However, after you cross 1 GB usage then your net speed would be dropped to 128 kbps. Yay! I'm happy with the Jio Happy New Year offer. Are you? Don’t mumble, say that in comments.